Ikano Bank was established in 1988 by Ingvar Kamprad, the founder of IKEA. The strength of Ikano bank comes from working together to create long-term solutions based on fair terms that bring value to its customers and partners alike. Ikano Bank IT is being shaped by shifting market conditions, new regulations, and changes in consumer demands and behaviours. For the past decade, fintech companies—technology firms that focus on financial products and services—have moved quickly, forcing the more traditional banks to rethink their core business models and embrace digital innovations. While the more traditional banking industry will undoubtedly remain as its customer base is solid, change is imminent, affecting banks like Ikano Bank well into the future. The article will continue after the form. IN A RUSH AND CAN’T FINISH THE ARTICLE RIGHT NOW? DROP YOUR DETAILS BELOW TO GET THE ARTICLE TO YOUR E-MAIL! Instead of working as a separate business support function, Ikano Bank IT have had to reimagine how their IT operations deliver a more distinctive customer experience by mastering the use of state of the art technologies in order to build competitive edge for the bank. “The first step is to build more value and provide compelling customer experiences at a lower cost. We needed to commit to a next-generation operating model for our IT. 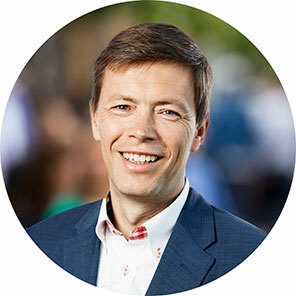 We needed to balance the two speeds at which our IT organisation operates— integrating more slowly changing legacy transactional back-ends with more dynamic customer-facing front-end systems and applications”, describes Mikael Nurmi, CTO of Ikano bank. “We needed to ensure that our IT is looped in and accountable for the delivery of sustainable, integrated solutions that meet the business’s needs regarding time to market and flexibility. Digital for us is a way of working, a mindset in which we operate. The digital and traditional worlds are not dichotomous, rather they are highly interconnected and inseparable worlds,” Mikael Nurmi continues. The change journey for IT started in summer 2016 with a newly developed sourcing strategy implementation, with targets on acquiring the best fit for purpose ecosystem and digital capabilities, better service levels, enhanced business continuity and overall IT costs reduced by up to 30 percent. At the same time, Ikano Bank started to deploy, together with Sofigate, a new business technology-driven operating model by refining the core functions and the organisational structure of IT in order to improve collaboration between business and IT, focusing on managing the supplier ecosystem and services, and sourcing and deploying the best fit-for-purpose business technology rather than in-house implementation. “We decided to outsource the backbone IT Operations and to partner with Cap Gemini to take advantage of scale of economics, reduce the time to transform our business technology platforms and increase resources needed to build up innovation. Digital capabilities are for us a prerequisite for competing in the longer term”, Mikael Nurmi defines. “We have a clear view that in the future digital transformations will rely heavily on the use of emerging technologies and specialised tools, many of which are being developed by innovative niche players and start-up companies rather than the established IT service providers. Our new business technology -driven operating model will clearly benefit from this evolution”, he concludes this very interesting discussion. Transform and run your IT to take full advantage of supplier ecosystems for the best-fitting services and solutions. Re-imagine your IT to work closer with the business and provide much needed competitive edge. The author is Jari Raappana. ITIL 4 – Does It Support Organizations’ Journey Of Digital Transformation? A Sourcing Relationship Wakeup Call on Trust! Can you survive disruption and turn your company more profitable?